I love to organize! 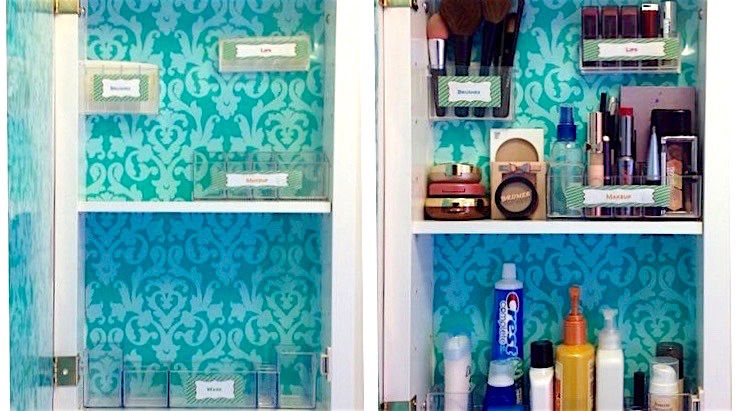 I love to organize, because I dislike clutter. So, I use storage bins of diverse shapes, colors, and sizes to keep my drawers, closets and cabinets from becoming chaotic. This tape is clear and works perfect for applying labels to plastic bins. It can be written on and comes off easily with no sticky residue. 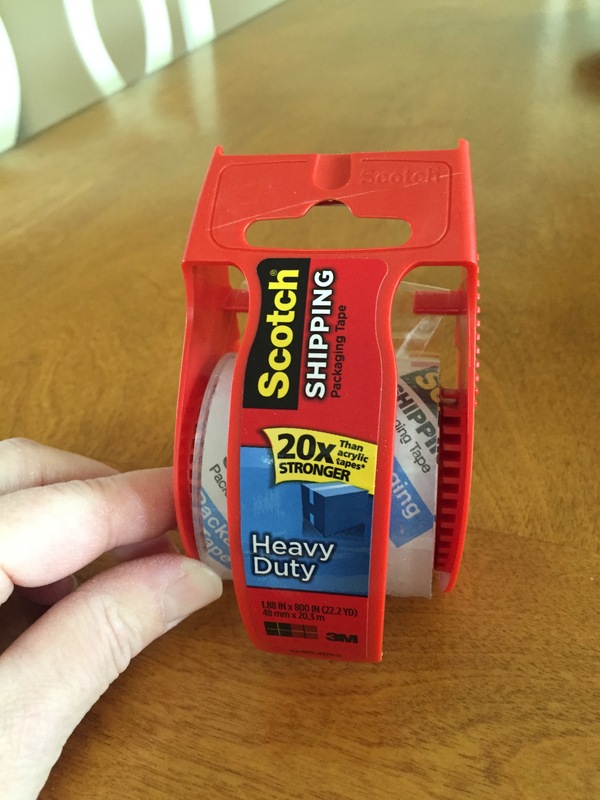 ?I, personally, love the Scotch brand shipping tape. Normally, I?print labels out on the computer to coordinate with the theme of what I am organizing. ?I then cut them out and overlay the tape on top of them to adhere them to the bins. ?A permanent marker will also work great (just write directly on the tape, then you can remove).? 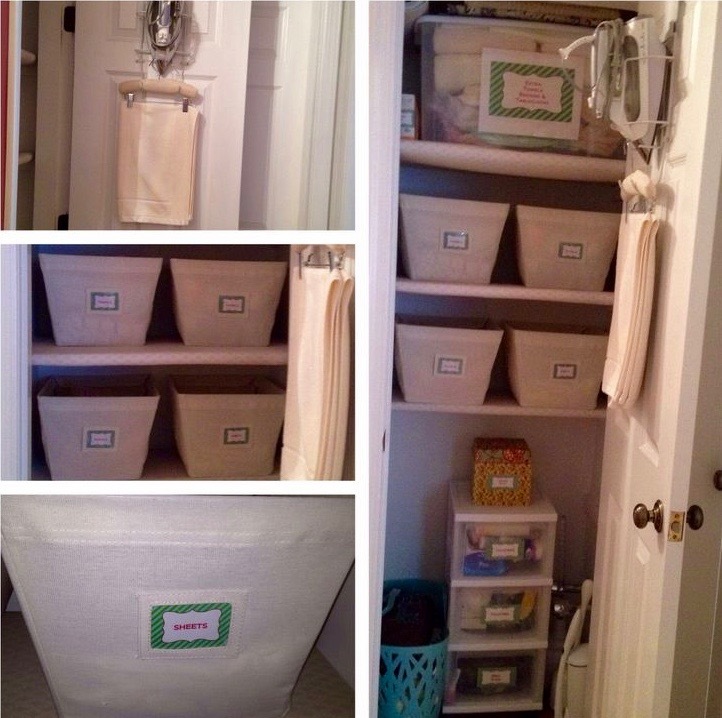 When it comes to organizing a linen closet / or bathroom cabinet, you dont need to spend a lot of money!? 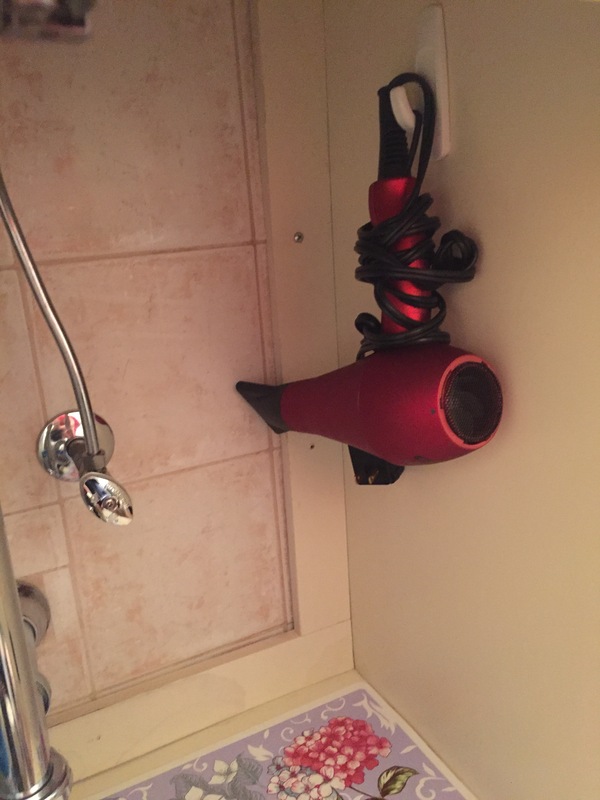 Look around your home and see how you can utilize items that you have on hand. I want my linen closet to look as neat as possible without having to spend too much effort making sure all my sheets and towels were lined up perfect.? I hate folding my sheets!? No matter how hard I try I just cant fold my bottom mattress sheet the right way.? Even Martha Stewart couldnt help me with this one. ?I read tutorials and watched videos, but it still didnt look neat.? So, instead I decided to camouflage them.? 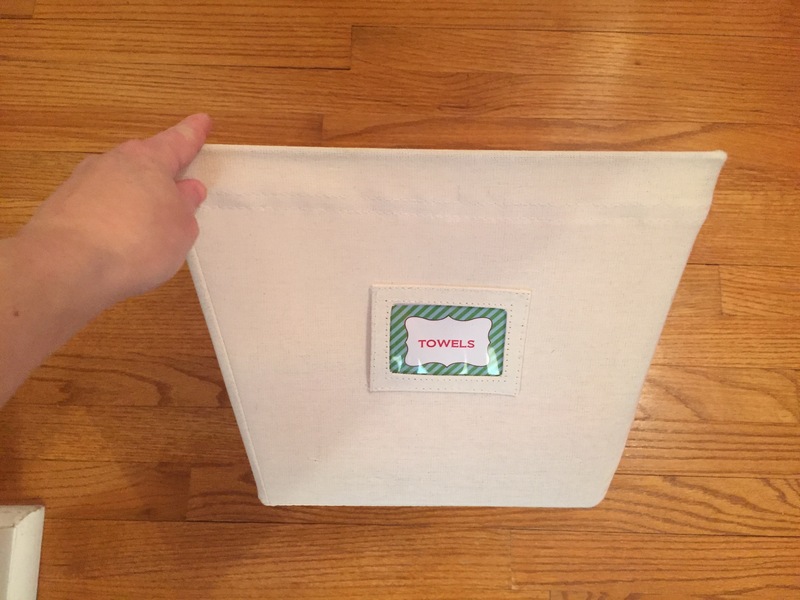 I found these nice fabric open bins from the Container Store that included label pockets.? 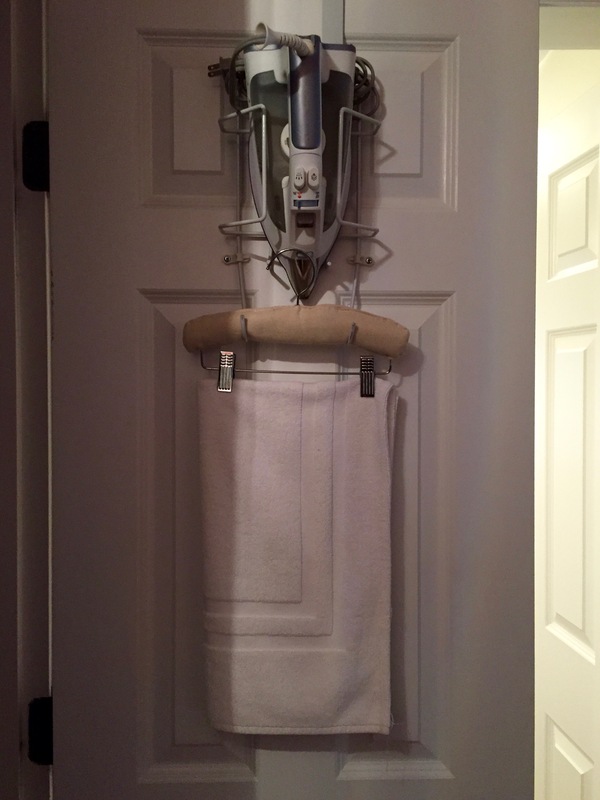 These are great because I can neatly store my sheets and towels and still gain easy access to them from the top. ?I also purchased a shelf liner to coordinate with the bins. *Cleaning Note:?When storing towels and sheets always rotate them so the freshly washed ones are at the bottom and the existing are at the top of the pile to be used.? 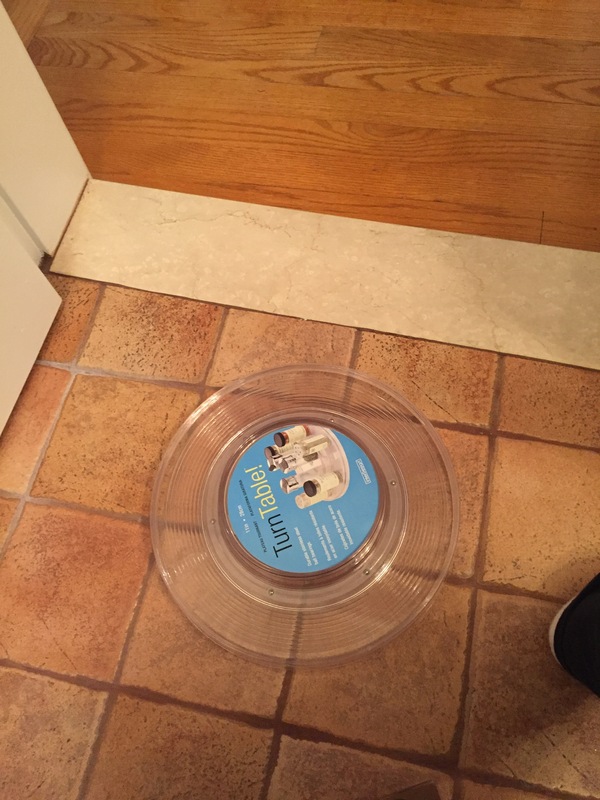 This will help them stay fresh! 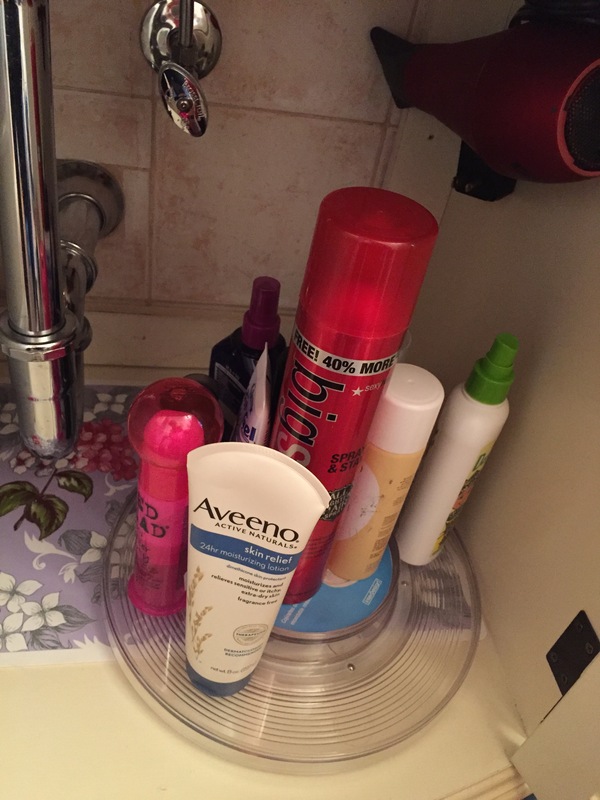 For the cabinet under my sink I used separate storage draws and a Lazy Susan to have easy access to all hair and bath products.? 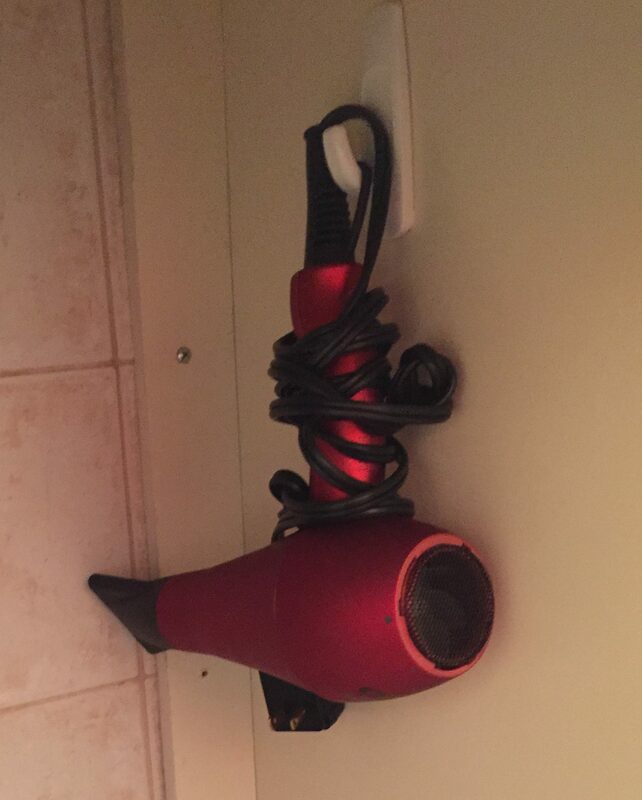 I put a sticky hook on the inside of my cabinet to store the hair dryer. 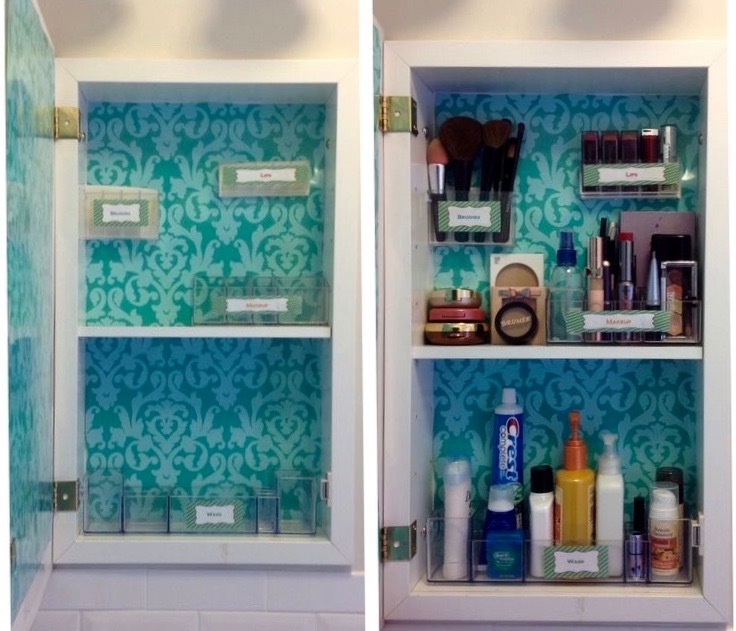 For the medicine cabinet I used wrapping paper to line the back wall and small bins that fit inside to keep toiletries neat. These simple items that you may already have on hand can make a huge difference in transforming a small space. 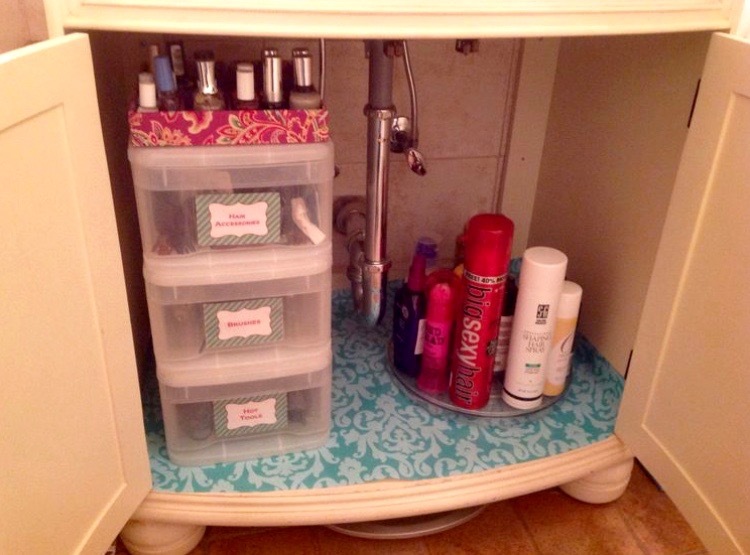 Use bins and containers you may already have.? Check out your local dollar stores, or even try to make your own. ?You can always wrap shoe boxes or product boxes with pretty wrapping paper. ? ? Angelina Russo is a Westchester interior designer and a Mamaroneck mother of a 4-year-old, with another on the way. Shed love to see your own creations and answer your questions, send her an email at angelinarusso1111@gmail.com.